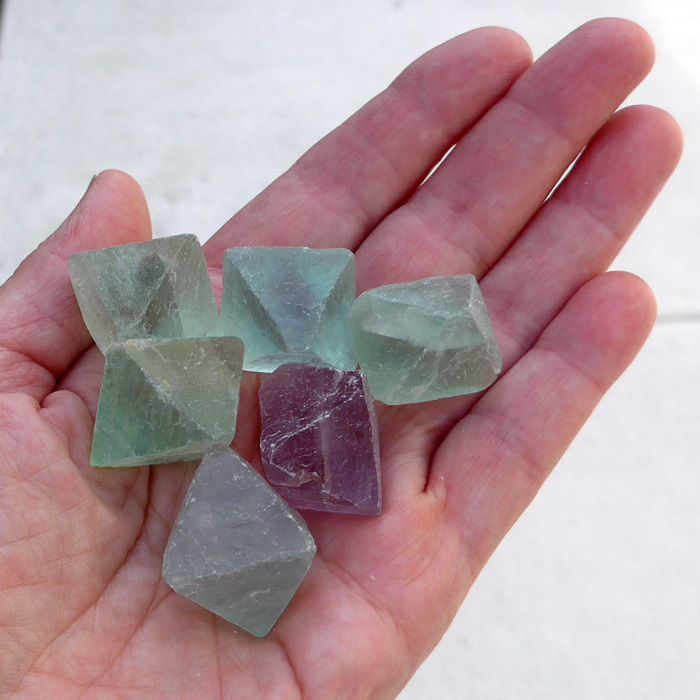 Dimensions (HxWxD): 1.25" x 1.2" x 1.2"
This group of six Green, Blue and Purple Fluorite Octahedrons is only $35. They are an average of 1.25 inches in diameter. The group weighs approximately 100 grams. They are the perfect size for use in meditation, or to place on a person's body during energy healing sessions, and fit easily in your favorite pouch or medicine bag. 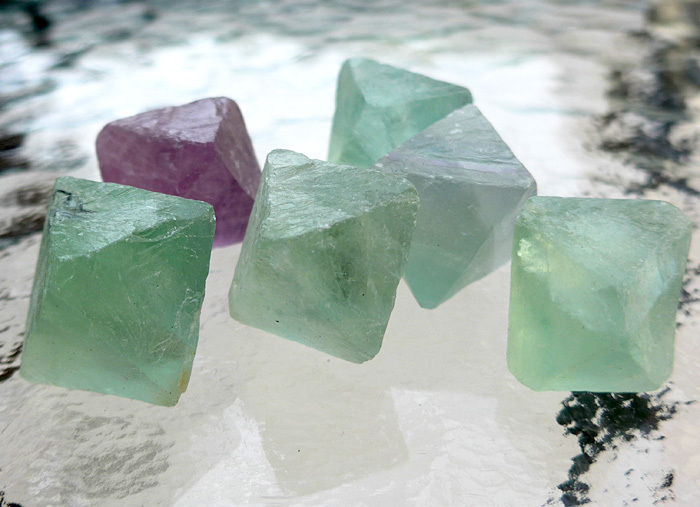 Fluorite is said by crystal healers to enhance our powers of discernment, and help us reach a balance in relationships. All colors of fluorite are effective for clearing the aura and energy centers and can facilitate a deep state of meditation. Blue and Purple Fluorite are most effective for activating the upper chakras -- the throat, third eye and crown. Green Fluorite activates the heart chakra. Blue or turquoise fluorite soothes and energizes the throat chakra, and purple or lavender fluorite activates the crown chakra. Note: Above weight is shipping weight. Net weight is 100 grams.